SAA is a "vanity project" that the SA economy cannot afford and it should be sold, members of Parliament (MPs) have heard. The standing and select committees on finance on Wednesday heard submissions from the public on the mini budget. The mismanagement of loss-making state-owned enterprises (SOEs) was one of the topics raised by unions and research groups. Speaking on national airline SAA, economist professor Jannie Rossouw, who represented the Fiscal Cliff Study Group, was frank in his views that the SOE should be privatised. "Give it away, it will not fly," he told MPs. "We are tired of a vanity project. "Politicians say they are proud to see SAA airplanes at international airports – park the things there and wash them. It's cheaper than to try and fly them," Rossouw implored. He added that plans by government to merge SAA and SA Express was a strange idea – as he had never heard of two "bankrupt" companies merging to make a success. He stressed that taxpayers could no longer afford to finance the airline through bailouts from Treasury. Cosatu's parliamentary coordinator, Matthew Parks, also shared views on SAA's bailouts. "We don't agree with endless bailouts," he said. However, government is pressured to prevent the State from collapsing if SAA's debt is recalled. The situation at SAA has resulted from corruption and looting and wasteful expenditure which must be dealt with, said Parks. "It's not the stewardesses who looted, it's management and their friends." 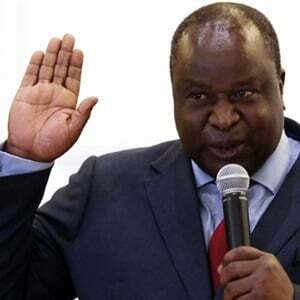 Parks further called for detailed and clearer turnaround plans for troubled SOEs. The corruption of the past must also be dealt with and stolen money should be recovered. "We want to see those people who looted, sitting in Pollsmoor (prison) in orange overalls." SAA has been issued a R19.1bn government guarantee, of which R14.5bn has been used. 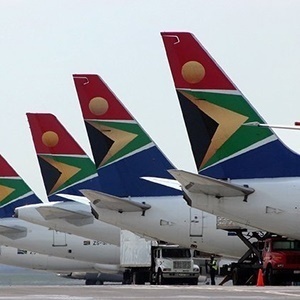 If SAA defaults on its loans, the liability will fall on the fiscus, which will impact the sovereign credit rating and lead to a downgrade, secretary general of Fedusa Dennis George explained. For this reason, George said Fedusa supported the R5bn extended to the airline by government to repay debt. Matt Johnson of the Organisation Undoing Tax Abuse (OUTA) said extreme mismanagement at SAA meant that it was "almost beyond repair" and instead of injecting more money, privatisation would be a better option for government. SAA is one of the worst examples of dysfunctional SOEs, he added. "Despite the new management, new leadership, too much damage has been done," he said.